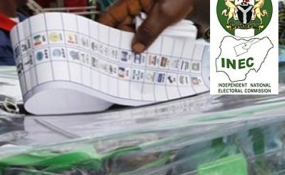 President Muhammadu Buhari will not change the result of the supplementary elections scheduled for this week by the Independent National Electoral Commission (INEC), the presidency has said. Presidential spokesperson, Garba Shehu in a statement last night, said INEC was fully in charge of the country's elections. The statement reads: "Past Presidents of Nigeria were known to interfere in inconclusive elections, and that is why party members appear to be upset that the same thing is not happening now, but President Buhari is a different kind of leader. He swore to defend the constitution and will not veer off from that. "The constitution of Nigeria gives the President no such powers. It is unfair and ridiculous to criticise President Buhari for not going against the constitution. "Party members in states where there will be supplementary elections then need to be reminded that they need to work hard to earn their people's votes, rather than expect President Buhari to manipulate INEC in their favour. "Interestingly, while members of the ruling APC party were criticising the President for not interfering on their behalf, members of the opposition were condemning the President based on their assumptions that he would definitely interfere, as many in the opposition did while in power. "Under President Buhari, INEC had been and will be completely independent throughout the elections, free from any interference. "President Buhari is a man of conviction, and the manipulation of election results goes against everything he stands for INEC is completely in charge."